Bryan School MBA students won the 2014 Small Business Institute’s Project of the Year award for their comprehensive business plan for a restaurant at the Wilkes County winery. A feasibility business plan by Bryan School undergraduates for Little Acorn Books, a local publisher of children’s books, won second place in the Small Business Institute’s undergraduate feasibility business plan category. Both of UNCG’s entries placed out of about 500 entries in the national competition. UNCG is the only Triad school with a Small Business Institute program. Raffaldini Vineyards and Winery, near the Blue Ridge Mountains, grows central and southern Italian varietals in the loamy soil of the Swan Creek AVA. It’s a destination for customers seeking authentic Italian wines. But once the tours and tastings were done, visitors found the dining options in Ronda -- population 417 -- limited. "Our regular food options consist of freshly-made deli items, meats and cheeses. Based on our experience with that and what folks were telling us and asking us, they prepared a feasibility study to develop an Italian-style restaurant business plan,” said Thomas Salley, who handles media relations for the winery. MBA students Gordon Trimble, Scott Jordan and Taylor Pittman worked on the business and marketing plan with Bryan School faculty members Richard Browne, Bonnie Canziani and Sam Troy. “Raffaldini Vineyards will be using the plan to attract potential investors and restaurateurs to the area,” Salley said. “The plan offers confidence to potential investors,” he added. The partnership with Raffaldini is the latest in a long line of works and research Bryan School faculty have undertaken with wineries and North Carolina’s wine industry. Seven years ago, faculty in the Bryan School identified North Carolina's nascent wine industry as a potential economic engine for the state. With more than half of the state's wineries located within a 120-mile radius of Greensboro, the burgeoning wine industry is one that UNCG is uniquely positioned to help grow. Little Acorn Books is the labor of love for UNCG student Marilynn Barr, who began the publishing press years ago while looking for educational materials for her son. Hoping to take her business to the next level, Barr and classmates Brandi Johnson, Bob McDaniel, Chantha Nie and Eric Sorber completed a feasibility study to gauge growth opportunities. Professor Dianne Welsh, who also serves as Director of the Small Business Institute for UNCG, oversaw the project. Since UNCG’s SBI program began in 2009, the university has placed first, second or third nationally seven times and had one honorable mention. Rider University's student consulting teams, both graduate and undergraduate, each won first place in their division for the Project of the Year Competition at the annual SBI conference, held in Las Vegas, Nevada this February. 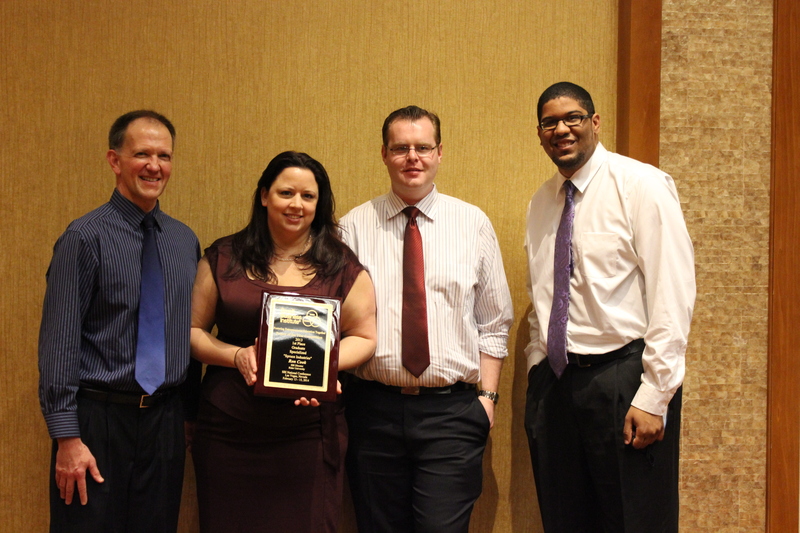 This was the first time ever that a Rider MBA team won first place and only the second time a Rider undergraduate team finished first in the nation. These students created reports that researched real-world challenges faced by local businesses/organizations. 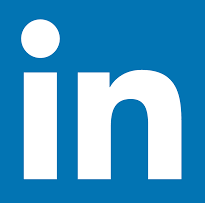 The client for the graduate students was Spruce industries, located in Rahway, N.J. and the team focused on the potential market for proprietary software developed by Spruce. Click for more details about both teams. Dr. Ron Cook with the winning graduate team of Kimberly Cook, Matt Nowlin and Jeremy Hopewell (not shown is team member Brian Janovsky). Derek Lidow, Princeton University's Visiting Professor of Entrepreneurship, Explores "Entrepreneurial Success"
When one meets Derek Lidow, the James Wei Visiting Professor in Entrepreneurship at Princeton University, one should be forewarned that a discussion about entrepreneurship will include interesting data. Derek is the founder of iSuppli, a business that provides important data to companies to assist them in making informed decisions, which he sold to IHS for $100 million in 2010. Now located in Princeton and distant from the West Coast where he spent most of his career following his graduation from Stanford University, Derek is both teaching and writing a book about entrepreneurship. The book entitled "Startup Leadership" will be published in March 2014. When I met Derek for lunch in downtown Princeton, we compared notes about working with family. My first business was a start-up with a sibling, while Derek joined a large generational business founded by his grandfather and then run by his father. He worked there with his brother and in Derek's words, "we had to work to be a team and we succeeded". Derek served as CEO before he left to found iSuppli and his brother was CEO up until 2008. I agreed totally with Derek on the special work that is needed to make "family in business" succeed. Having attended Stanford, worked and then built his own company in Los Angeles, Derek is very familiar with the Silicon Valley model of venture backed highly scalable businesses. Our discussion focused on entrepreneurship that occurs outside the Valley and emulates its model. Derek estimated that approximately 250,000 entrepreneurs across America aspire to the Silicon Valley model of building highly scalable fundable businesses. Mostly concentrated in or near urban hubs such as New York, Chicago, and Los Angeles, many of these startups Derek notes are working on solving the same problem. He sees a small number succeeding with great reward, a portion following with some success and the remainder failing. The last point about failure moved our discussion to the definition of entrepreneurial success. Derek has written about entrepreneurial success in his personal blog and he challenges the definitions proffered by media and venture capitalists. The former's measure of success is primarily determined through lists that measure a venture's rate of growth or valuation, while the latter places emphasis on fundability and scalability. Derek fears that entrepreneurs using these sets of measures to evaluate their own success may draw wrong conclusions. Lists commonly created by media that place entrepreneurs and their companies at the top of a category almost by definition create an element of exclusivity for a relatively small group. As Derek sees it, "This definition groups virtually all entrepreneurs, past and present, into a category of also-rans. " Derek identified some key statistics put together by the Kauffman Foundation about Inc. Magazine's annual list of the 5000 fastest growing private companies that lessen it as a full measure of success. "According to the latest Kauffman Foundation analysis, about 63% of Inc. 5000 companies are still in business 5 or more years after making it onto the list (this research is generally consistent with research done on the Inc. 500 in previous time periods). About half of the companies still in business have shrunk from the size they were when they made in onto the list. Thirty-seven percent of the Inc. 5000 were sold or went out of business. Many of the 32% of Inc. 500 entrepreneurs that sold their companies go on to try again, becoming serial entrepreneurs (search for "life-after-the-inc-500-fortune-flameout-self-discovery" at http://www.inc.com). This implies that most of the entrepreneurs that sold their companies were not completely satisfied with the outcome. Undoubtedly a fraction of these Inc. 5000 serial entrepreneurs did well in the sale of their companies yet still wanted to launch another company because they find founding companies exciting. But the point is that just because an entrepreneur has a company that grows fast doesn't mean that the firm will continue to have even non-negative growth, or, that the entrepreneur will be satisfied with his outcome." Though not an ideal measure for success, I see the "top lists" created by media as being valuable vehicles for public recognition that have multiple benefits to an entrepreneurial stage company that they can parlay. This includes attracting investors and new business opportunities. This should not be underestimated. However, with regard to funding by venture capitalists as an indicator of entrepreneurial success Derek contends, "The US entrepreneurial community in particular propagates the idea that getting outside funding is the most prestigious of entrepreneurial merit badges. In many circumstances outside funding represents major progress, but is it success?" Going further he notes that prestigious venture capitalists limit entrepreneurial success even further to those entrepreneurs who have achieved the rarified air of dramatically disrupting an industry, viewed as "change the industry or bust". Clearly, that is a very small number and a very exclusive club. I feel that Derek's most important point is that most ventures contribute significantly to the economy without meeting the success standards of either media or the venture capital community. He states, "Non-VC backed entrepreneurs create the overwhelming majority of the wealth in the US. Only around 12% of all the companies on the Inc. 5000 have taken money from VCs or angels. Another 17% raised growth equity after they had established stable positive cash flow.....Over seventy percent of all Inc. 5000 companies did not need to sell part of their company to professional investors to start up or to fund their fast growth. We cannot use VC mindsets to define entrepreneurial success nor let VCs redefine the word startup to mean hyper-growth". Derek is not criticizing the promotion of entrepreneurship via top lists compiled by the media, he is advocating that entrepreneurs be mindful of other more meaningful measures for assessing their own success. I see entrepreneurship as an all-consuming undertaking. It impacts so many lives both personal to the founding entrepreneur, as well as those who are the beneficiary of its job creating power. It is important to have more elevated discussions outside of broad popular media. This has been happening for quite a while via the Kauffman Foundation and organizations such as the Small Business Institute Association. American Entrepreneurship Today has its Thought Leaders section on its web site for this very reason. Not intending to be just critical, Derek hopes to catalyze discussion while offering an alternative measure of success, "Successful entrepreneurs turn ideas into self-sustaining value producing enterprises. One criterion of this definition requires that the entrepreneur gets his enterprise to the point where it produces net positive value; in the case of a company this means consistent profitability. The other criterion requires the entrepreneur create an enterprise that can consistently generate new products that capture new groups of customers to at least replace those that no longer need or want his product". "Without this ability to capture new sets of customers a firm will just peak and decay, no matter how fast it grew. This is a criterion that almost half of the surviving Inc. 5000 did not meet. With any fewer success criteria the enterprise is on a path to eventual failure. With any more criteria we are creating arbitrary standards for deciding whom we call successful. This definition is very balanced and we can rightly leave it up to each individual entrepreneur as to whether they set some additional size or valuation criteria for their personal standard of entrepreneurial success." Most of the 250,000 entrepreneurs who are aspiring to be the next Silicon Valley like success story will not reach the standards set by venture capitalistsundefinedthey will not be funded and not be disruptive. They also will not be on a media list. Yet, as statistics indicate a portion will be in business for a long time, generate great wealth for the founders and shareholders, create jobs and be on whole a net contributor to the American economy. A Texas Woman’s University team won first place for a graduate business plan that would hope to provide a more efficient total joint replacement. Dr. Jay Mabrey of Dallas, Mara Ferguson of Lantana, Amanda Ortez of Sherman, Brandie Owen of Roanoke, Sumanjali Shrestha of Dallas and Mary Tiernan of Little Elm formed the Joint improvement Consulting Team and took the top prize in the Project of the Year business plan competition administered by the Small Business Institute. The winners were announced at a conference in St. Pete Beach, Fla. last month. 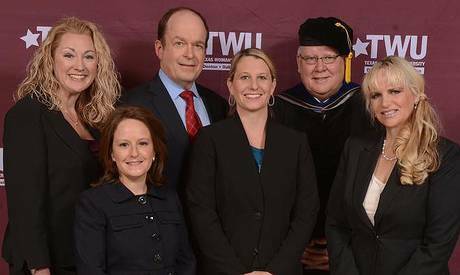 All graduated from TWU’s Executive Masters of Business Administration program in December. The competition highlighted the work of graduate and undergraduate students at colleges and universities that are involved with the SBI program. The goal of the competition was to address a specific business problem or present a business opportunity, according to the organization’s website. John Nugent, associate professor of business and economics and interim chairman of the TWU School of Management, served as the faculty supervisor for the project. “Winning this competition is a testament to the quality of our Executive MBA students and the work they are capable of in class and in their daily professional lives,” Nugent said. He said nearly 400 schools participated in the annual competition. Last summer, the student team worked for three months as part of the Executive MBA program to come up with a plan that would empower health care providers in the implementation of an efficient, safe and cost-effective total joint replacement program. The work was evaluated by students and faculty during class and then submitted to the competition, Nugent said. Mabrey, who is with the Department of Orthopedic Surgery at Baylor University Medical Center, said in a news release that the project reinforced the team’s belief that hospitals, insurance companies and providers must work together to provide better care for patients. The Executive MBA program started at TWU in 2002 and is designed for professionals with a minimum of five year’s work experience. Founded in 1976, the Small Business Institute is a national organization dedicated to field-based student consulting and outreach to small businesses, according to its website. For more information about TWU’s Executive MBA program, visit http://www.twu.edu/som/emba.asp . For more information about the Small Business Institute, visit http://www.smallbusinessinstitute.biz/ . KARINA RAMÍREZ can be reached at 940-566-6878 and via Twitter at @KarinaFRamirez. GREENSBORO, NC – Graduate students from UNCG’s Bryan School of Business and Economics won second place in the Graduate Comprehensive Small Business Institute Project of the Year competition for their MBA capstone project. The students -- Neha Gupta, Yi-Chen Hung and Alison Weeks -- worked on the project with Bryan School faculty Dianne H.B. Welsh and Jason Bohrer. Welsh is the Hayes Distinguished Professor of Entrepreneurship, director of the Entrepreneurship Cross-Disciplinary Program and director of the Small Business Institute Program at UNCG; Bohrer is the MBA capstone professor of practice and project director for the award-winning initiative.